PlayStation Move Motion Controllers 2-Pack ties its historic low after the eBay Flash coupon code. The last time they got this cheap was around Cyber Monday 2016. The average price for this deal since released is $34.33. Lowest historic price was $22.90 on Jul 17, 2013 at Amazon. The average price for this deal since released is $82.99. Lowest historic price was $37.99 on Aug 19, 2013 at Groupon. Well 2wknds ago frys electronics had it for $49.99, thats when I got mine. But of course it back to 69.99 again. You have to just keep a look out and research before jumping to buy it. Brought it before I brought the new PS3 320gb with game for $299. Solid value for the PS3 Move Starter Bundle. Bestbuy.com dropped their price to match the cheapest its ever been, and then threw in a $20 Gift Card to sweeten the deal. The Sports Champions game is a lot of fun especially if you liked Wii Sports Resort but thought it was too kiddish. 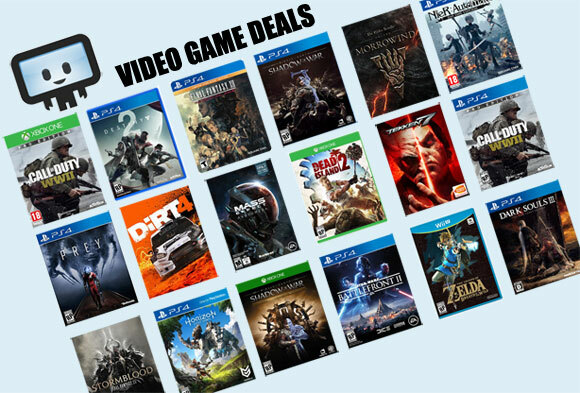 Ties best price ever for Playstation Move bundle, which includes the motion controller, the eye camera, and Sports Champions game. This deal expires at 8am Pacific on Tuesday. Best price for Playstation Move Starter Bundle that we've ever seen. It was $85 a couple days at the end of November, but recently the lowest price has been $94 at Amazon. Now save a full $14 off that with this Playstation Move deal from Buy.com via eBay. Rare discount on the popular Playstation Move bundle -- includes Playstation Move Controller, motion-sensing camera, and Sports Champions game. This deal will save you $7 off the next lowest shipped price. PlayStation Move Deadmund's Quest/Sports Champions Bundle drops to $59, free ship at Best Buy. That's the lowest ever by $11 and $25 off the next best price online of $84. The average price for this deal since released is $76.14. Lowest historic price was $64.93 on Mar 18, 2013 at Best Buy. The average price for this deal since released is $65.82. Lowest historic price was $39.99 on Nov 22, 2012 at Best Buy. Great price on this PlayStation 3 Move Bundle with Little Big Planet 2. A new low by $10 and $25 off the next best price online of $65. Includes the eye camera, Move motion controller, Move navigation controller, and Little Big Planet 2 Special Edition. Buy each item separately and you're looking at an $81 bill. PlayStation Move with Little Big Planet 2 bundle is cheapest ever by $5 and $43 off the next best price online of $123.